When you exit the conference room after a successful deposition, you might already be planning how to best use the court reporter’s transcript to prepare your case for trial. However, you shouldn’t neglect to plan for the use of deposition testimony in front of the jury. Consider looking for legal videography services in Palo Alto, California to help you put together a courtroom-worthy presentation. Check the local court rules. 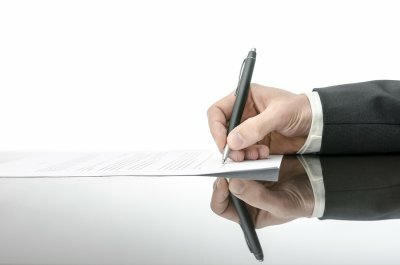 The introduction and use of deposition testimony in court is subject to state and local court rules. Always check these rules to ensure you are in full compliance. You may need to provide pretrial disclosures for any portion of the transcript you will use during the trial and for any legal videography you plan to introduce. Lodge the official deposition transcript. The court reporter will give the deposition witness and all the parties written notice when the original transcript is ready to be read, corrected, and signed. Under the California Code of Civil Procedure , the deponent has 30 days to perform these actions. Then when the case is set to begin trial, the attorney who has custody of the original transcript must file the document with the court. In some cases, a transcript with the court reporter’s certification may be lodged when the witness is introduced to testify. Lay a foundation for the deposition testimony. Do you remember giving this testimony? Do you recall being under oath to tell the truth? Did you have an attorney present to represent you? Then you can launch into a line of questioning that highlights the witness’ inconsistent testimony. It may help your case to show a clip of video-recorded testimony from the deposition and compare it to the witness’ testimony during the trial. Court reporters serving Palo Alto, California, often attend depositions in which an attorney engages in abusive practices, such as obstruction. Deposition abuse may be more likely when the deposition isn’t held in a conference room capable of video conferencing and video recording. When attorneys know that their abusive behaviors are being captured on a digital record , they tend to cease those problematic behaviors promptly. In addition to the use of video recording, you can watch this featured video to get some more tips on dealing with deposition abuse. For example, if the opposing counsel frequently instructs the witness not to answer your questions, you can ask the court reporter to mark each of these incidents in the record. 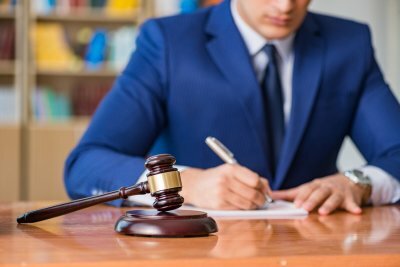 In severe cases, you might need to inform the other attorney that you’ll seek a court-issued protective order if the deposition abuse doesn’t end. Every deposition is different, but there is some critical information that you will want on in the transcript, no matter who is testifying. As you focus on crafting your questions for your deposition, don’t lose sight of the basic information you need the court reporter to transcribe about every witness you depose. Get ready for your deposition in San Jose by making sure these questions are on your list. Have you ever been arrested, and if so, were you convicted? In almost every instance, you should ask about the arrest and conviction record of every witness you depose. This information could have an impact on the case at hand, and it could call into question the reliability of a witness. The answer to these questions can also be helpful if the case goes to trial and you need to impeach a witness on the stand. You should do your own research into the arrest and conviction records of the witnesses before you depose them, so you know what to expect and can recognize any incorrect information the witness provides during the deposition. Have you ever testified in a deposition or trial? 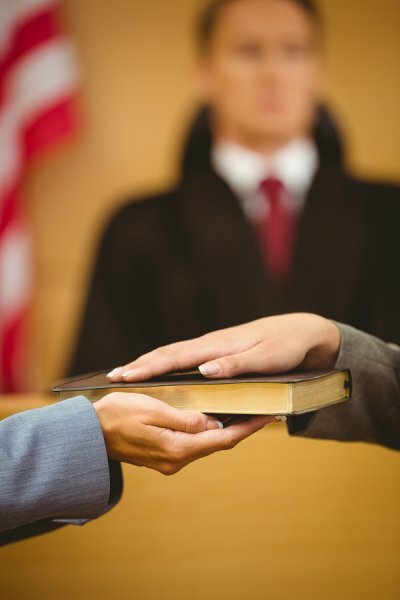 It is always helpful to know if a witness has testified in a case before this deposition. First, it can give you an indication of how nervous or composed the witness may be. Knowledge of past testimony experience can also give you insight into the witness’ role in past cases and if he or she was considered to be truthful. This information can help shape your approach during your deposition. How did you prepare for this deposition? By questioning the witness about how he or she prepared for the deposition, you can identify areas in which he or she may have underprepared, so you can focus on those parts of the case. Finding out how the witness prepared may reveal to you what parts of the case the opposing attorney views as the most important. Be sure to also ask who was present when the witness prepared with the attorney, because having a third-party present can mean that privilege was waived. 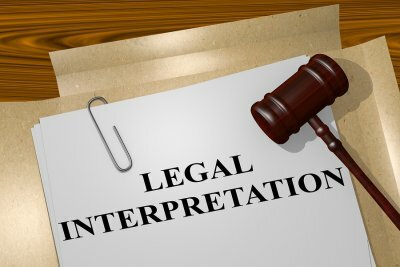 An interpreter can play an important role in depositions of non-English-speaking witnesses. Often, when you hire a court reporter in San Jose, he or she can provide recommendations or make the arrangements for an interpreter in the language you need. 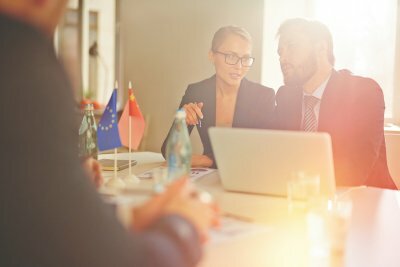 When you hire an interpreter , there are a few strategies that can help you work with them more effectively. Watch this video for advice for speaking through an interpreter. First, be sure to hire an interpreter who is court-certified or registered, depending on the language spoken by the witness in your depo. Speak clearly and slowly enough that your interpreter can easily understand you. Face the person you are questioning, rather than the interpreter, to engage him or her, especially if you are questioning someone via video conference. Be sure to watch for cues from the interpreter for when to stop and allow time for the translation to take place. Facing a video deposition can be nerve wracking, but it doesn’t have to be overwhelming. 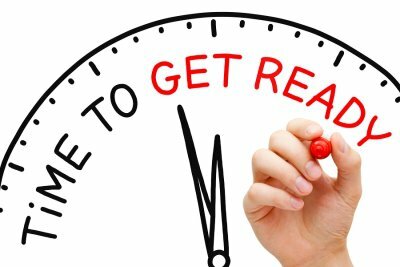 Before you face the video conferencing screen, the court reporters, and the attorneys, take some time to prepare, so you can answer questions with confidence and get through the deposition as quickly as possible. When you have a video conference deposition in Palo Alto, California scheduled, get ready with these tips. Review in full what to expect at the deposition with the attorney who is representing you. He or she can give important advice about how to answer questions and how to deal with any disputes that may arise, as well as helpful information about what to expect. There is a good chance the attorney will want to closely review your testimony with you before the deposition. Take advantage of this time to get comfortable with your testimony, so you can answer questions with ease. For a video deposition, you should choose professional dress, as though you were going to court to testify. Keep in mind that you will be on camera, so consider wearing clothing in colors that are easy to pick up on camera. Generally, light, solid colors and clothing without patterns work best on camera. Don’t wear anything uncomfortable. You should look at ease while giving your testimony rather than awkward and fidgety because your clothing is not comfortable. When you are being questioned, answer exactly what is being asked as simply as possible. Avoid adding extra details that could open up additional avenues of questioning. Keep a neutral expression, even if the line of questioning frustrates you. You will be wearing a mic, so resist the urge to mutter under your breath, as it will be recorded. Keep a calm and neutral tone of voice, and try to avoid long pauses, which can make your answers seem evasive. Speak clearly, so that the transcript and recording reflect exactly what you are saying. Videoconferencing and video recording technology have made communication easier and faster than ever before. Today, testimony may be recorded via video for later submission during a court case, along with a written deposition. Because body language plays a vital role in the delivery of testimony, it’s important to ensure your witnesses understand the behaviors they should avoid if their deposition will be recorded via legal videography in the San Francisco Bay Area. A witness or expert’s appearance can heavily influence the assumed validity of his testimony. When preparing a witness for a video deposition, it’s best to ensure he presents a clean and professional image, just as he would if he were appearing in court in person. Furthermore, holding the video deposition in a conference room or office will provide a professional but unobtrusive background that will allow viewers to concentrate on the testimony, rather than on any distractions a busier environment might contribute. It’s important to consider distracting or nervous behaviors and how to avoid them during a video deposition to ensure your witness appears both professional and calm. Make sure all phones and PDAs in the room are turned to silent and put away during a video deposition, and ask that your witness be aware of his hands and avoid playing with pens or other objects during recording. 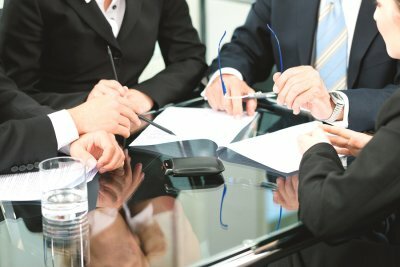 During a traditional deposition, witnesses may be encouraged to take their time when remembering facts or considering the answers to certain questions. However, long pauses are often perceived in a negative light when viewing video testimony, as silence can make a witness appear unsure or evasive. Thus, prior to a video deposition, you may want to ask your witness to remain aware of the time he takes to answer questions. While pausing to recall facts or giving brief answers is not wrong, you may ask him to explain why he needs additional time to think during the video recording.